Edmonton is the capital of the Canadian province of Alberta. The city has a population of 782, 439 people. The city of Edmonton is located on the North Saskatchewan River. 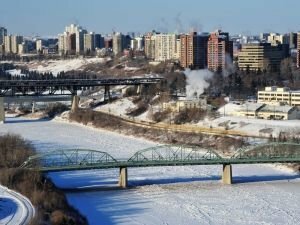 Thousands of years ago the territory of present-day Edmonton prehistoric was inhabited by people. There is evidence that they lived there since nearly twelve thousand years BC. The first European who passed through the area was Anthony Henday, in the middle of the eighteenth century, who studied area and its opportunities. His goal was to make contact with local people to be able to sell skins. In 1795 Fort Edmonton was established. In the late nineteenth century more and more settlers came to live at the fort. Edmonton became a resting place on the road to locations covered by the gold rush. 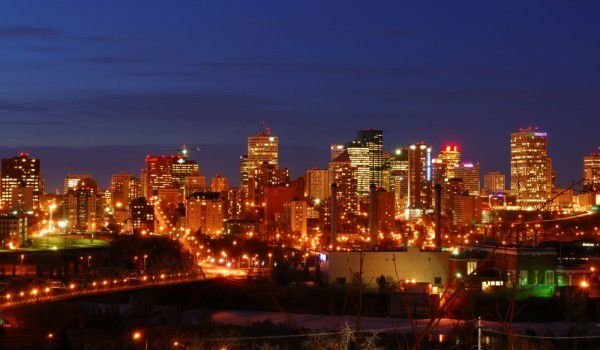 Edmonton was officially recognized as a city in 1904. A year later the town became the capital of Alberta. At that time the city was reached by a railway line, tying it with the rest of the country. 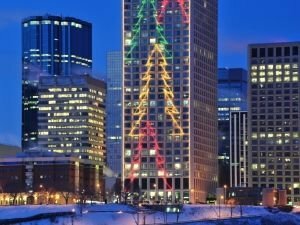 This contributed to the rapid development of Edmonton in terms of infrastructure and economy. During the First World War the city's population declined, as many men were called to serve in the Canadian Army. During the Second World War the city had an airport and airbase. In Edmonton there are many parks and this is the city with the most park space per capita in Canada. The total area of parks in the city is one hundred and eleven square kilometers. The city of Edmonton has many elms, which also are not infected by diseases, characteristic of these trees. In the city grow maples, apples, chestnuts and other trees. Besides the parks, the city has several golf courses. The largest living history museum in Canada is located in Edmonton. It is located in the valley near the city center. On the territory of the museum can be seen running cars, vehicles pulled by horses and a steam train. In the forties of last century a suburb of Edmonton was being created. Since the seventies of last century the city's suburbs also continued to grow. The most modern and new suburbs are located in southwest Edmonton. Edmonton is a major economic center of northern and central Alberta and is a major center of the oil-gas industry. It has traditionally been the center of the petrochemical industry in Alberta, for which in the forties of last century, it became known as the oil capital of Canada. The city's economy is not based only on oil-gas industry, but on high technology too. The city is a major center for transport to northern Alberta and the northern parts of the country. In Edmonton there is a modern shelter for lost animals where eight thousand lost dogs and cats from the city find shelter each year. The city zoo is located in Edmonton, where one can see large numbers of the animal kingdom from different parts of the planet. The zoo works 364 days per year. Recently, in the zoo was born a red panda, whose parents were raised in the zoo. In Edmonton there is a large amphitheater, which is twenty-five years old. This is the largest amphitheater across western Canada. The amphitheater has eleven hundred seats. In Edmonton there is the natural center, named after John Janzen, in which exhibitions can be seen. In the center you can learn a lot about the countryside around the city.